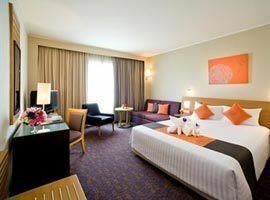 Our list of the best hotels in Silom area Bangkok is not only going to see you comfortably at home in plush comfort cheaper than you thought, but also in what can be described as one of, if not the trendiest, most modern, chic and sophisticated districts in the city. 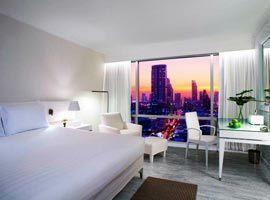 Moreover the area features Silom, Sala Daeng and Bangrak skytrain station which is near the Chao Phraya River. The location is somewhat of a contrast featuring the raunchy Patpong red light district and market against a backdrop of award winning luxury hotels, top notch restaurants, boutique style malls, glossy buildings housing important financial institutions and embassies as well as a trendy to-be-seen nightlife venues. 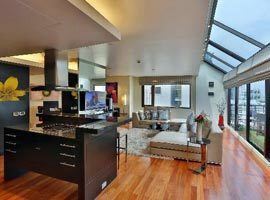 Where ever you choose to stay in Silom, from cheap accommodation, along the river or in extravagant luxury, enjoying 5 star living just got easier with the best prices guaranteed. 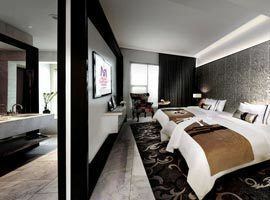 One and 2 bedroom suites with kitchenette. located near Saladaeng BTS and Silom Road. 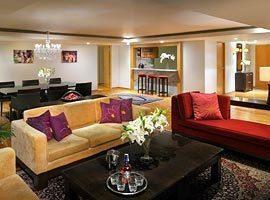 Located for sightseeing near MRT, BTS, many restaurants and walking distance from Patpong. 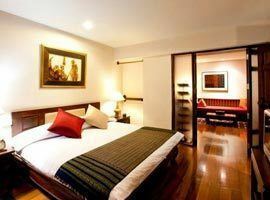 Boutique hotel steps from Chong Nonsi BTS. Offers a pool, gym and suites with kitchenette. Enjoy captivating views from an open-air rooftop restaurant and bar. Sleek, romantic and luxurious. 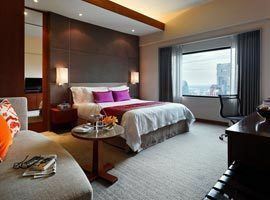 Fashionable accommodation next to skytrain station, stunning infinity pool and extensive spa services. 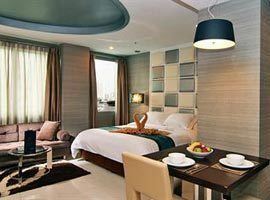 Featuring it own night club steps from Siam Square shopping malls, near MBK and Pratunam markets. Modern, chic and stylish with a New York vibe. Amazing rooftop restaurant and bar near Patpong. 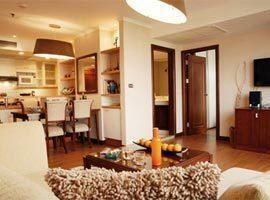 Luxury boutique serviced residence with one bedroom apartments and 2 bedroom penthouse suites. Boutique hotel right in the middle of everything, near the river, near Patpong and a night market.